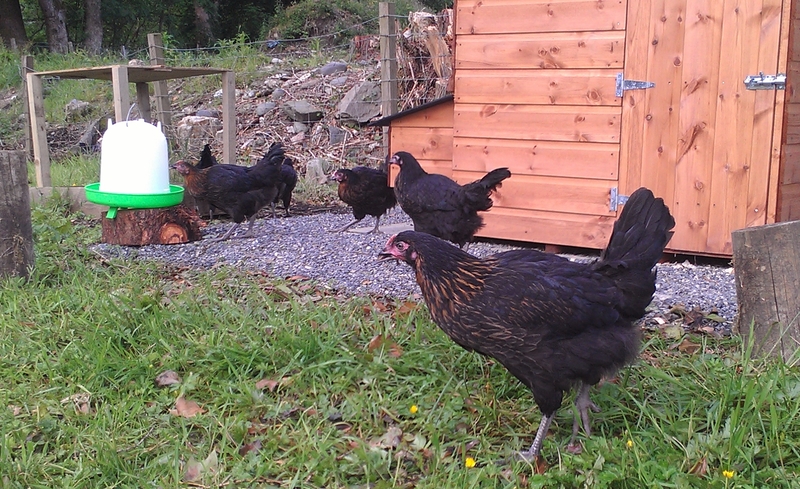 A great big Balliemeanoch welcome to our six new Black Rock hens. I know it’s not quite the same thing, but we felt a bit like new parents coming home from the hospital with a newborn as we brought our ‘girls’ back to Balliemeanoch last weekend. Books, internet research and friendly advice is all well and good, but it suddenly dawned on us that we were now completely responsible for these small creatures clucking away in the back of the car. What would they make of their new home? Could we keep them safe from marauding foxes and pine martens? Well, I am pleased to report, so far so great! 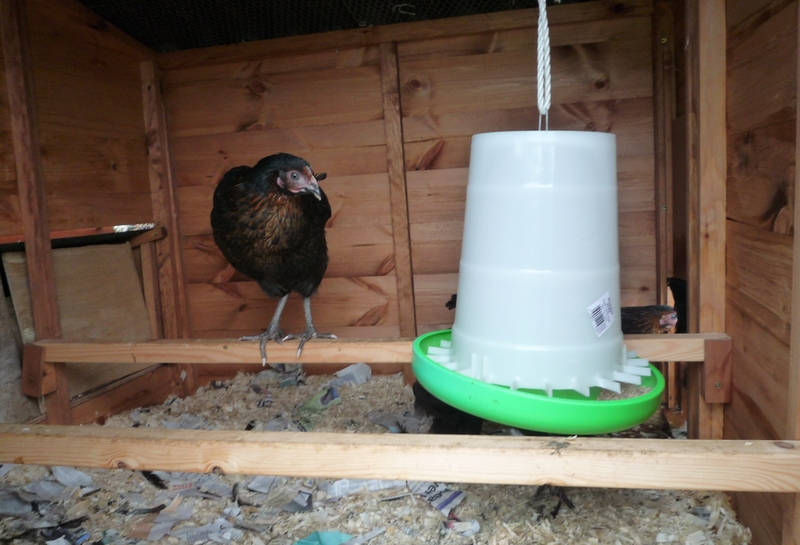 After the first night and day settling into their carefully prepared coop, they emerged cautiously into the evening sunshine to start checking out their new territory. I’ll admit we were slightly nervous, wondering whether we would get them back inside before dark, but we needn’t have worried. They didn’t wander far the first time and, without any help from us at all, were back on their perches before the sun had fully set. Since then they have been growing bolder and cheekier every day. It didn’t take them long to realise that they have a whole field full of tasty grass, weeds and bugs at their disposal, and they are certainly making the most of it. They have also got used to their afternoon treat, and come racing across the field when they see me arriving with a bowl in my hand. Grapes seem to be their favourite – they go completely nuts over them, and it’s all over in about 30 seconds flat! I’m sure we’ll never need the TV again, as they are so entertaining. 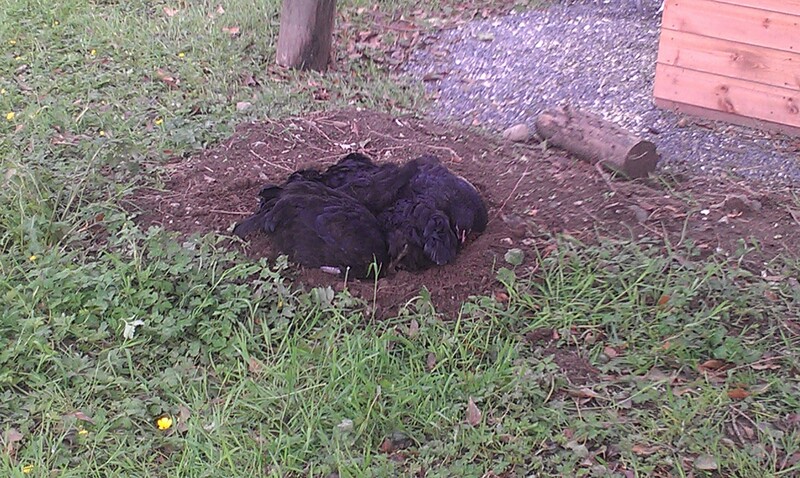 The other day they spent a whole hour dustbathing – all six of them rolling around in a big heap in a pile of loose earth. They do it to clean themselves, but you could tell that they were absolutely loving it! And so were we – hilarious to watch! 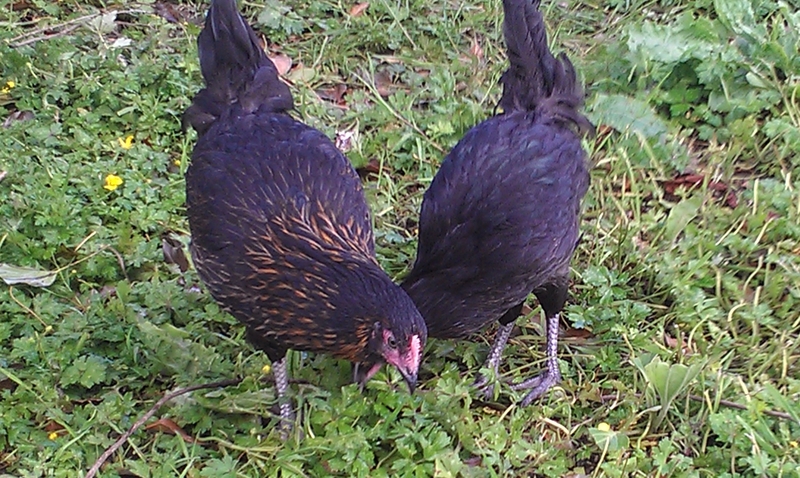 But the best part is that, in a few weeks, our chickens should be ready to start laying. So on top of all the joy they are already giving us, we’ll have the bonus of freshly laid eggs to share with our guests at breakfast. Can’t wait! 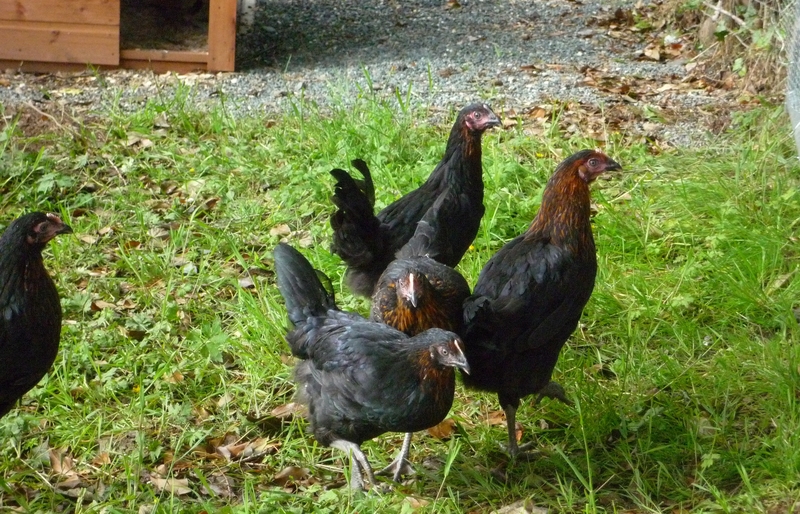 This entry was posted in Animal magic and tagged Accommodation, B&B, Bed and Breakfast, Chickens, Loch Eck, Loch Fyne, Places to stay, Scotland, Strachur. Bookmark the permalink. 2 Responses to Here come the girls! Your girls look gorgeous! I bet those eggs will be tasty! They are gorgeous, and real characters already. I’ll be sooooo excited when the first eggs arrive!